Very Nice, SHOWS GREAT THRU OUT! BIRCH KITCHEN CABINETS W/PANTRY, APPLIANCES, GLEAMING REFINISHED HARDWOOD FLOORS, LOTS OF ROOM IN FINISHED BASEMENT. NEW COVERED PATIO ROOF, SHED. 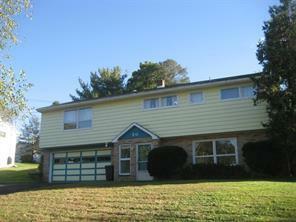 NEWER HWHT., FRESHLY PAINTED INTERIOR, MASTER BEDROOM HAS 1/2 BATH. GREAT LOCATION, CLOSE TO EVERYTHING, & HIGHWAY ACCESS. EASY TO SHOW, WELCOME HOME!PS: Lower level could easily be an in law apartment..